3M Frosted & Dusted Crystal special effect films are a cost effective way to create distinctive designs on glass. These durable translucent films are unbelievably versatile and can be used as temporary or permanent solutions. Changing the entire look of a room is simple and can be done as often as you like without the cost of replacing expensive etched or sandblasted glass. 3M 7725SE-314 Dusted film has an etched glass appearance. 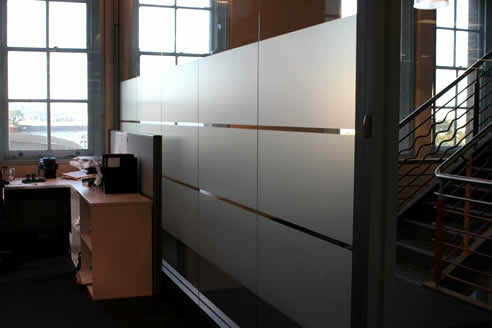 3M 7725-324 Frosted film has a sandblasted glass appearance. 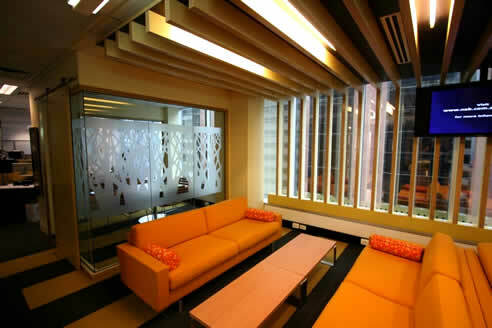 The films can be applied to glass, acrylic or polycarbonate and are warranted for indoor and outdoor use. 3M Frosted & Dusted Crystal special effect films can be used in a wide variety of applications from full coverage of glass for privacy whilst allowing natural light to come in, through to complex computer cut designs and company logos. 3M Frosted and Dusted films are surprisingly affordable and incredibly stylish. Safety visibility strips & decals. Obscuring windows for council approval. Product advice and technical specification. Cost estimates, site inspections and quotations. Timely installation within deadlines through to complete project management.